This is the Mt. 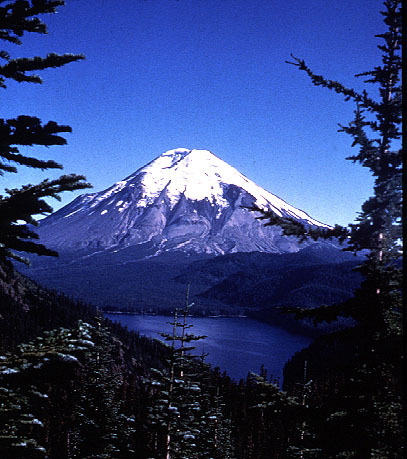 Saint Helens I climbed! I had some great teachers in elementary, middle and high school. Some of the fascinating and useful things I learned in class have even stayed with me. And yet, when I think back on my education, most of the transformative moments, those times when I made huge leaps in my learning, happened outside of the classroom. The dude ranch camp in Arizona I received a scholarship to attend; the time we climbed Mt. St. Helens (before it lost its top) and had to abandon our expedition in the middle of the night in a rainstorm; the Japanese exchange students with whom we could only communicate through sign language and by teaching each other children’s songs; the “world without war games” during a project week; my demanding crew coach inspiring our boat to beat the college teams in one regatta: those are the experiences that stand out. I imagine this is true for most of you. Our education system was set up to support the industrial revolution, creating factory workers and “company men.” Now we need to educate for life after the digital revolution, and many systems have not yet caught up. I would like to tell you about one organization whose leadership and members advocate for the integration of what has often been called “extra-curricular” with direct classroom learning. A couple of weeks ago, I had the opportunity to participate in one of my favorite experiences each year. 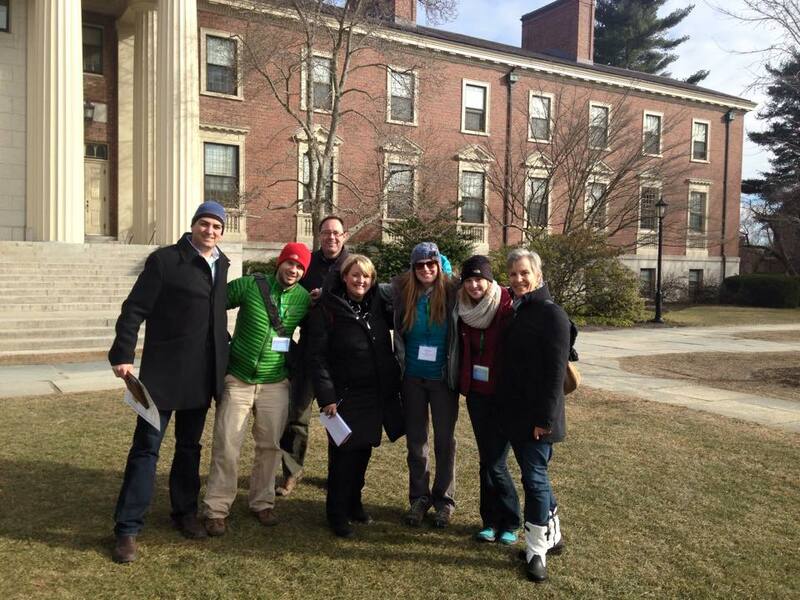 I attended the 10th Annual Independent Schools Experiential Education (ISEEN) Institute, this year hosted by Phillips Academy in Andover, Massachusetts. Ten years ago, a small group of independent school employees met to see how they might support each other in the unique challenges they faced as program directors in outdoor education. An organization called the Independent Schools Adventure Network (ISAN) was born and they began holding an annual institute for providers to learn from and support each other. A few years into the organization, I attended one of their annual meetings at Albuquerque Academy. Although I wasn’t working in outdoor education per se, a colleague of mine was sure I would find “my people” in this group. She was right. I have been attending ever since, I served on the board for a number of years, and I come away inspired every year. The organization changed from ISAN to ISEEN to expand the scope from just outdoor and adventure education providers to include global, service learning, sustainability, and student leadership. This year we even had a strand for administrators who are overseeing multiple areas under one experiential umbrella, a trend I find particularly exciting. We grew from just a few practitioners the first year to 130 this year. We have been hosted by a different school every year, giving us all a chance to learn firsthand from the experiential programs at other schools. We have had sessions from some of the top thought leaders in experiential education pedagogy and practice; this year included Dan Garvey, former President of Prescott College, Grant Lichtman of The Learning Pond, David Streight of the Center for Spiritual and Ethical Education and Eric Hudson of the Global Online Academy. We have become a membership organization. We had a number of pre- and post-conference workshops to expand our offerings. I facilitated a workshop this year on integrating curriculum into global travel programs, whether for a specific experience or on a school-wide level. We spent a lively three hours sharing ideas for deepening student learning by connecting direct off-campus experience to classes and other school activities. This summer, we are offering the first annual professional development opportunity for classroom teachers who want to incorporate experiential education pedagogy and practice into their daily teaching. Although much has changed, much has remained the same. We plan the institute very carefully so we can maintain the intimacy of the early days through small group discussion and time for specialty groups to convene. Many participants feel the need to come every year to connect with colleagues and friends — some of us feel it is our “annual department meeting” — and every year there are new people coming to learn and connect for the first time. ISEEN is a vibrant organization, working to advance the pedagogy and practice of experiential education as a leading model for student transformation.